Hi, Happy Mother's Day to all the Mom's out there. I hope you have a wonderful day! Here is my creation that I made especially for you. 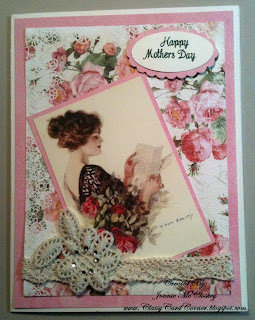 The patterned paper is from Authentic, Lovely Collection, Fancy 2 sided paper. 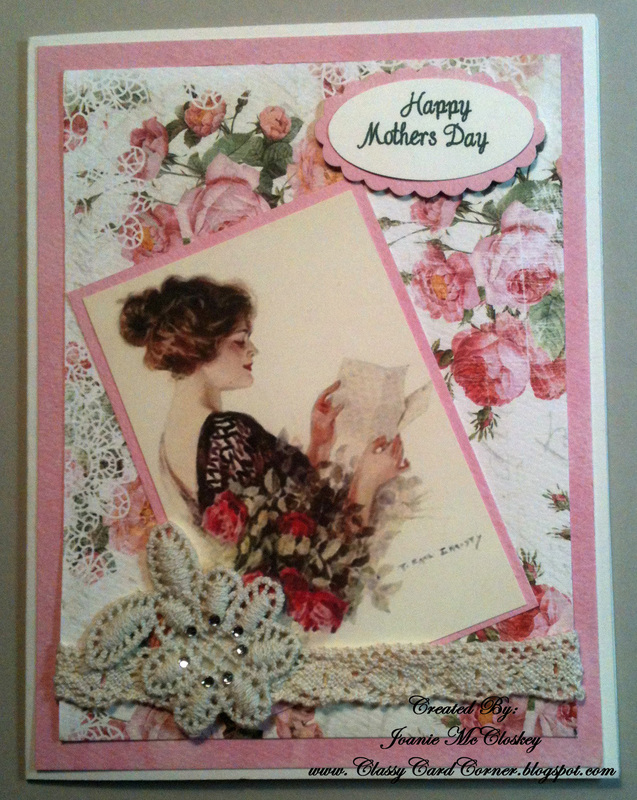 The lace and applique were from my stash. The image was printed from Pinterest, no name shown. The punches for the sentiment are from Stampin' Up. The stamp for sentiment is from Just Rite. I hope you enjoyed my card and it brought a smile to you face, if so, I have accomplished my goal. Please leave me some love because you are my inspiration. Well, my friends, that is all I have for today and I hope your day is awesome!! Thanks so much for stopping by and I hope you come back to visit often! Our next Link Up for Pink Challenge 13 starts up real soon, so get your scrappin' stuff ready to join in to support those fighting the Battle of Breast Cancer and you will also be eligible to win a fabulous prize from our sponsor.